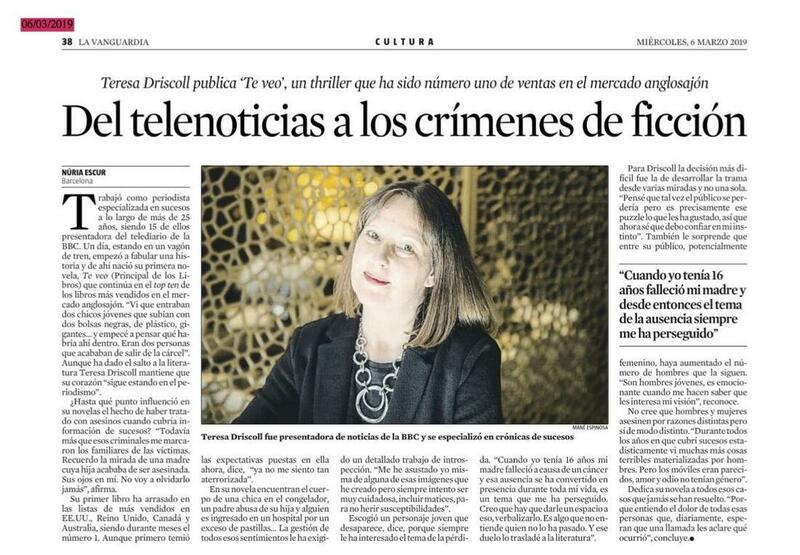 Barcelona, London book fair....and lots of buzz! An update here on the blog is long overdue and I have so much news. Such a lovely, busy and buzzy time lately! And then, pretty much as soon as I had unpacked, I was packing all over again for the London Book Fair. I used to see this event as industry-only – for agents and publishers. I would say it’s still primarily for business to business meetings. 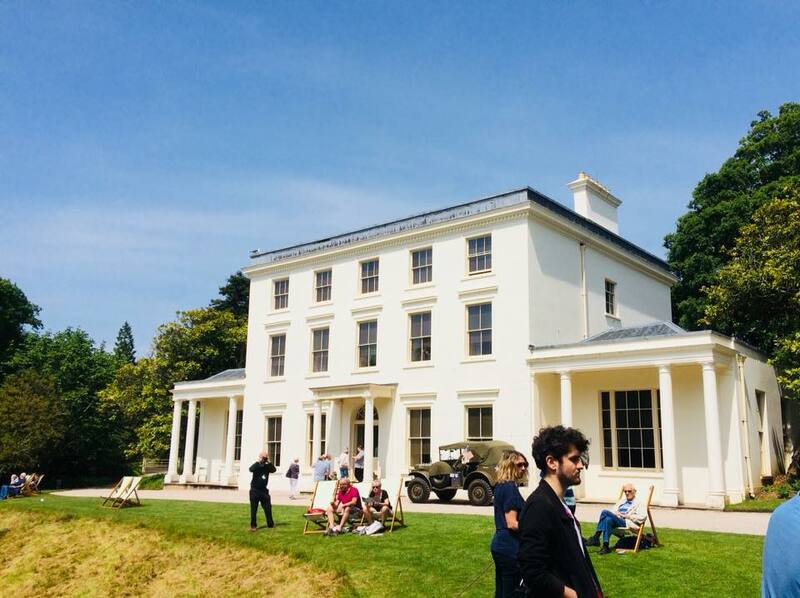 But in recent years, an author HQ has been set up so it’s now good to pop by to listen to some of the panel sessions and also to meet author friends. 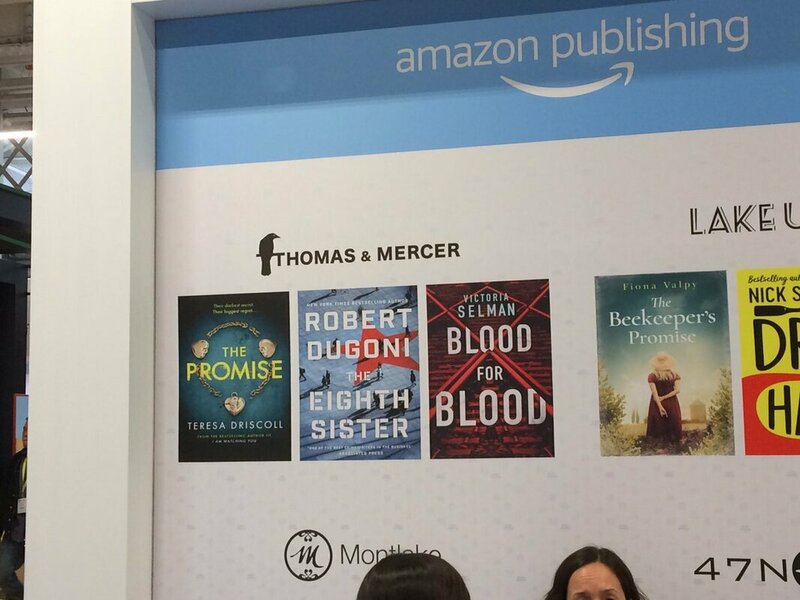 Plus my publisher Thomas & Mercer holds a wonderful author party during the fair – and that’s definitely not to be missed! 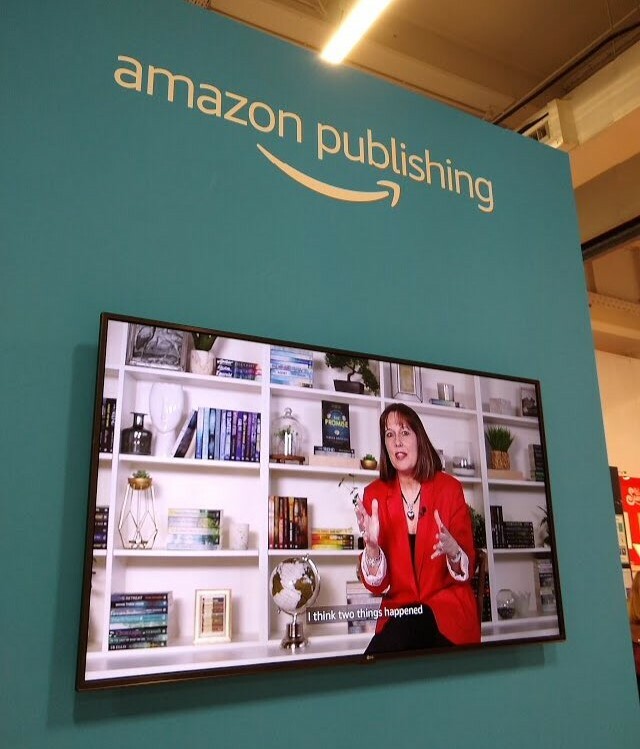 Highlights for me this year included coffee (and an especially delicious chocolate brownie) with my editor – plus seeing a video of myself on my publisher’s stand. All the more hilarious as I was wearing the same (favourite!) red jacket for my LBF visit . I also caught up with my lovely agent Madeleine Milburn and her fab team at my publisher party so that was a special bonus. And now it’s back to work. Very soon I’ll be doing the copy edit on my fourth psychological thriller which is out early in October. 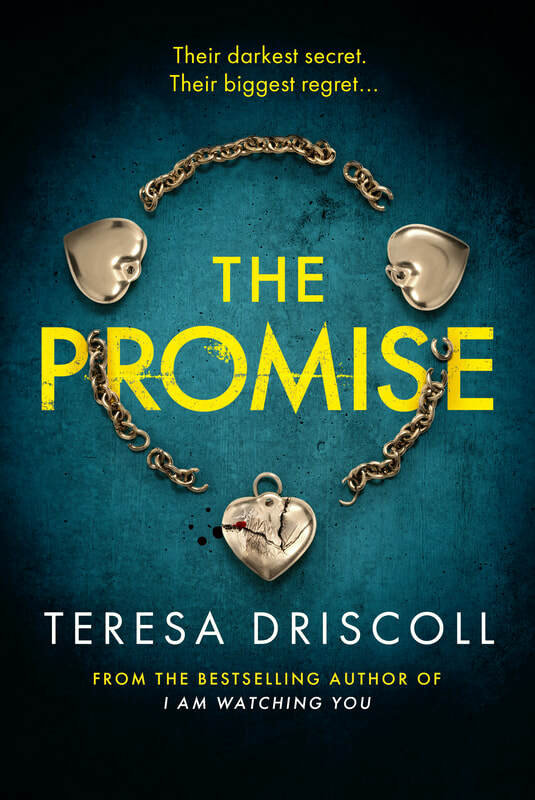 Which reminds me to say a big thank you to everyone who has been kind enough to review my third thriller The Promise. I’m so very pleased readers are enjoying it. 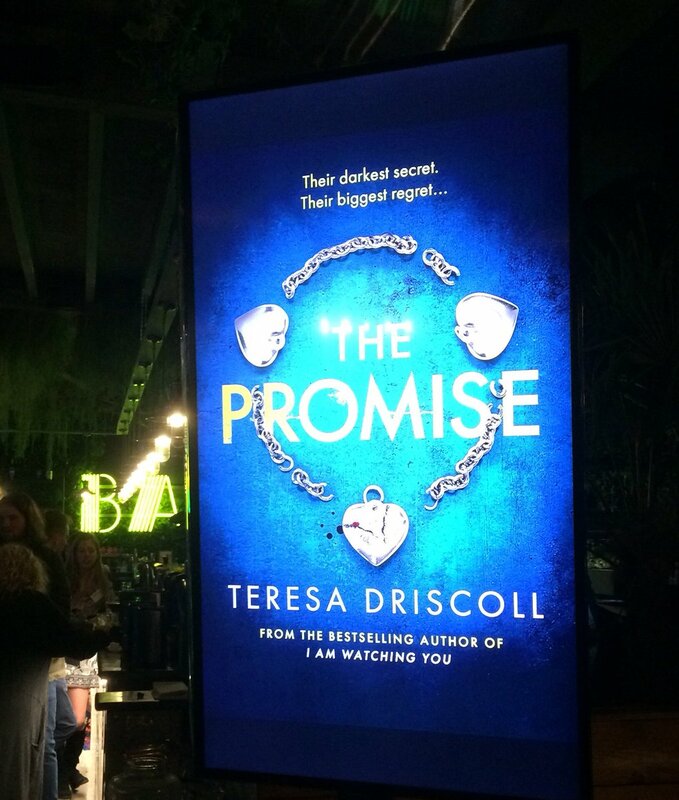 And it was such a thrill to see it featured on the LBF stand - and also on the carousel at the publisher party. I’ll be sharing more news on the fourth thriller soon. My editor tells me the cover is being designed so I’m itching to see the ideas they come up with! Warmest wishes to you all…and happy reading. My second UK NUMBER ONE! Just when I think things cannot possibly get more exciting.....they DO! As I write, my second psychological thriller THE FRIEND is number one in the whole Kindle chart in the UK. This is simply incredible - my second UK number one. I can share now that this is particularly special to me as I was very nervous when I published this book. I Am Watching You - my first psychological thriller - did so well that I felt a lot of pressure over The Friend. I want each of my books to be different in terms of structure and surprise...but I also want my readers to feel the familiarity of my 'voice' as a writer. It's a tricky balance to get right - delivering a very different book in the same genre. 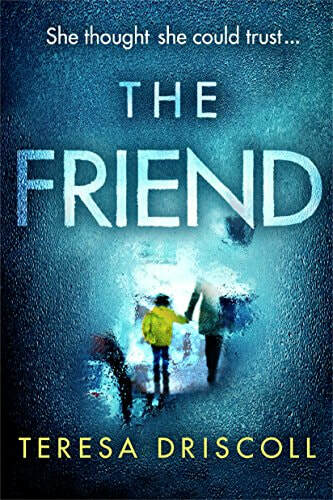 So I am just thrilled with the hundreds of five-star reviews for The Friend and this new high as it hits the top of the charts. Thank you, readers. I am so grateful for all your lovely messages. I would be nowhere without you! What a rollercoaster - six years of blogging: from wannabe to bestselling author! What a long way we have all travelled together here! I can hardly believe that I've been writing this blog since October 2012! Yes…six years, sharing all the ups and downs on my long journey to becoming an author. 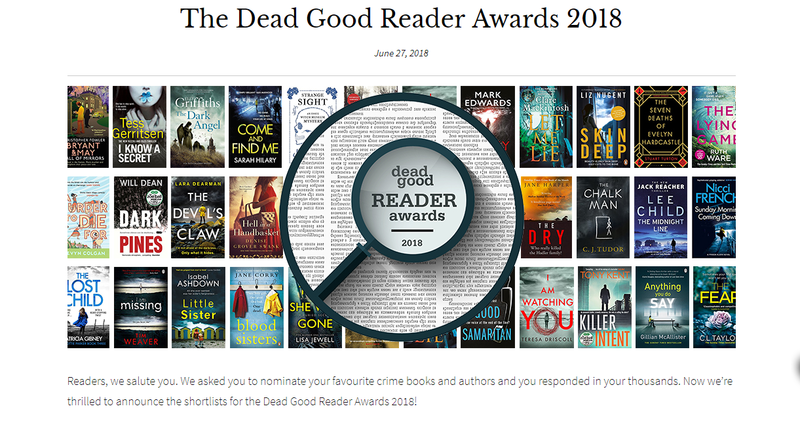 So I thought – especially for the benefit of writers still yearning for a book deal – that I would mark the New Year by looking back over some of the key blogs that I hope you will find useful. Getting started. Hello social media…..and thank you Google and Youtube! Back in 2012, I had already been trying to get published for some years. I had a literary agent...but no book deal. There were several rejected manuscripts stashed under the bed. To be frank, I was a bit fed up but no way was I prepared to give up. So I decided to start blogging to share how I was feeling. My first blog HERE was about the hiccups of setting up this very website with limited technical ability. I used google… and watched a lot of You tube videos to work things out as I went along. 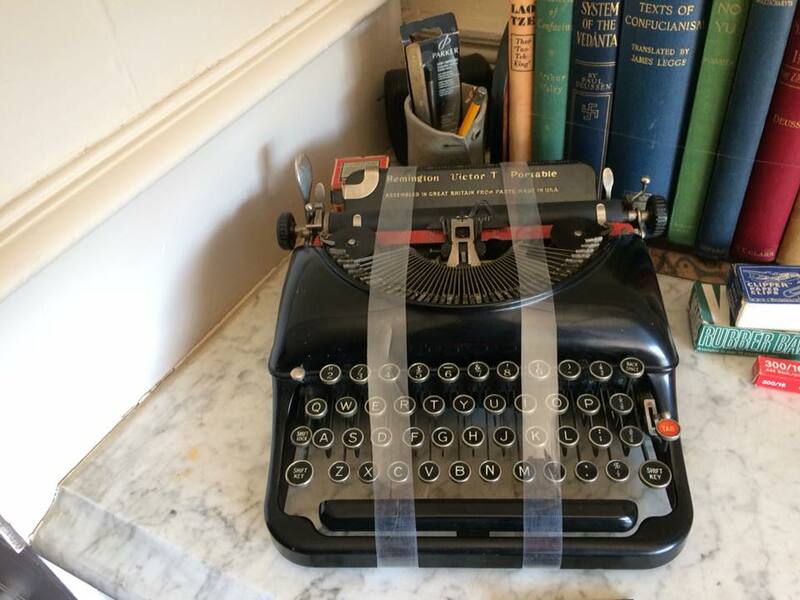 So you don’t need to be an absolute whizz to get started with blogging and social media as a writer - just prepared to experiment and learn as you go. I have always tried to be very open and honest while blogging – even when feeling low about my writing life. 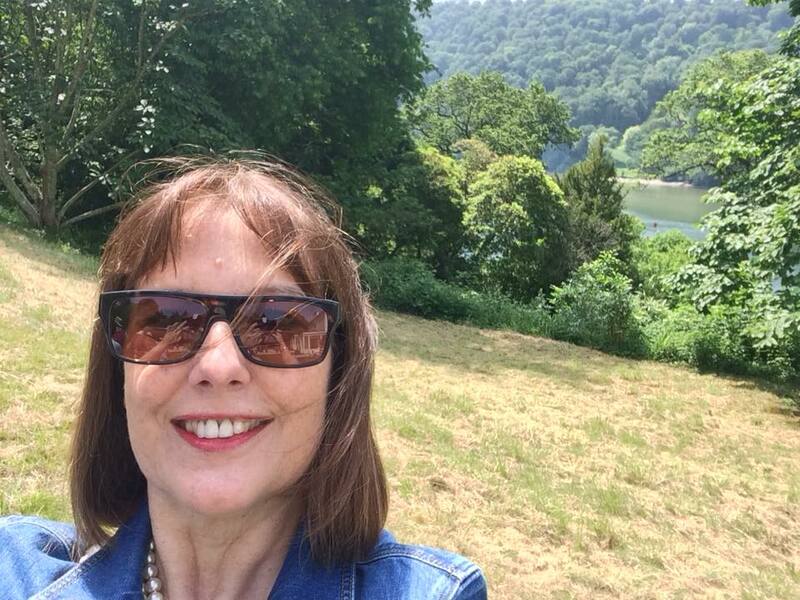 My top advice for social media and book marketing is – just be yourself. After all, who else would you want to be?!! 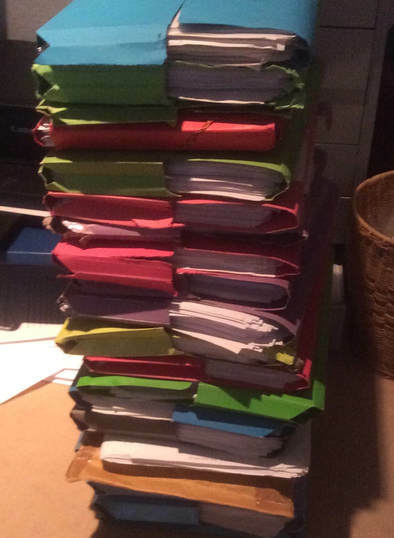 While trying to get a book deal, I wrote a lot of short stories for magazines – a very welcome income stream as a freelance and a great place to experiment too. This 2012 blog sums up what I learned about the short story market – with tips on how to get your stories accepted. So the rest of 2012 passed with more rejections for my novels, sadly. Boohoo! And then in October 2013, I had this lightbulb moment. I changed the way I wrote, after reading some advice from Stephen King. This blog explains how I learned to write in forward gear ..and how EVERYTHING suddenly fell into place for me, in terms of first draft momentum. Signing with a NEW AGENT! By July 2014, I had edited my new manuscript and found myself a NEW AGENT. Here’s the blog which explained how I handled querying for the second time. Daunting…but very exciting too. 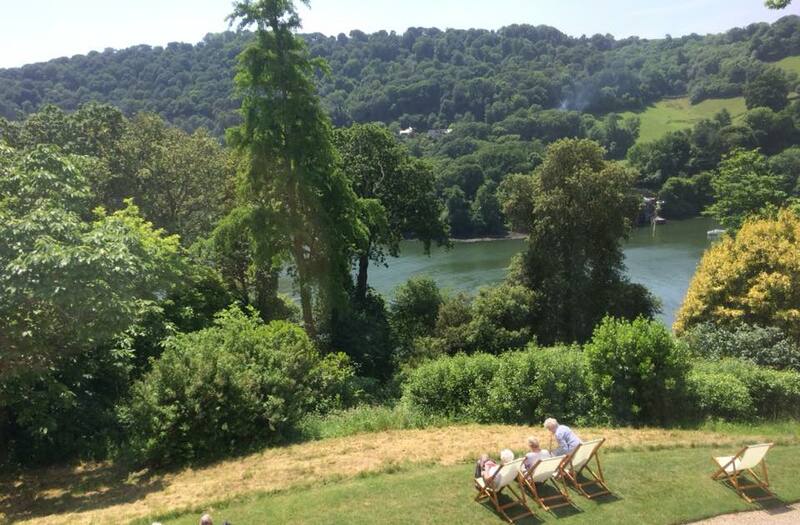 In the autumn of 2014, I toured Devon libraries with my short story workshop…and what a time I had! It was so wonderful to share tips and enjoy the company of other writers. Here’s a blog after my stop at Exeter Library. Such fun! A book deal AT LAST!! A change of genre….The tall story of how I finally wrote a BESTSELLER! And now we fast forward (through book two and being published abroad – hurrah!) to my change of genre….from writing women’s fiction to writing psychological suspense. THIS BLOG explains why and how that happened and how my whole career was riding on how the genre switch was received by readers. I still remember how incredibly nervous I was…and then how blown away I felt when I hit number #1 on Kindle in the UK, the USA and Australia. It was surreal. Why publishing is a marathon not a sprint…..keep going!! And now we are up to date – which means it is time for me to once again thank you all for sharing so much with me over the years. Thank you to the wonderful readers who are kind enough to message me when you enjoy my books. And here's wishing the best of luck to all those still working hard for that first book deal. I really do know exactly how you feel. 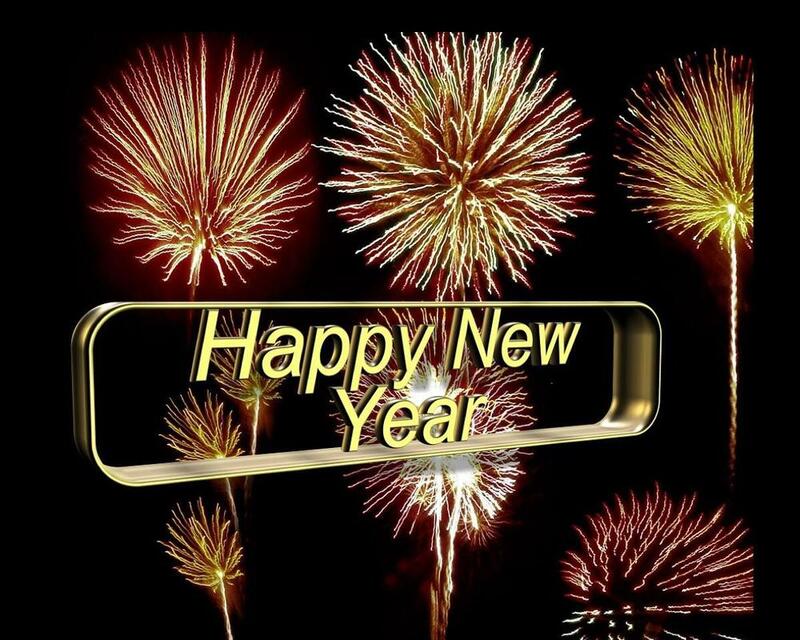 Happy New Year, one and all!! May it be a special one for you and yours. Today is an incredibly special anniversary. 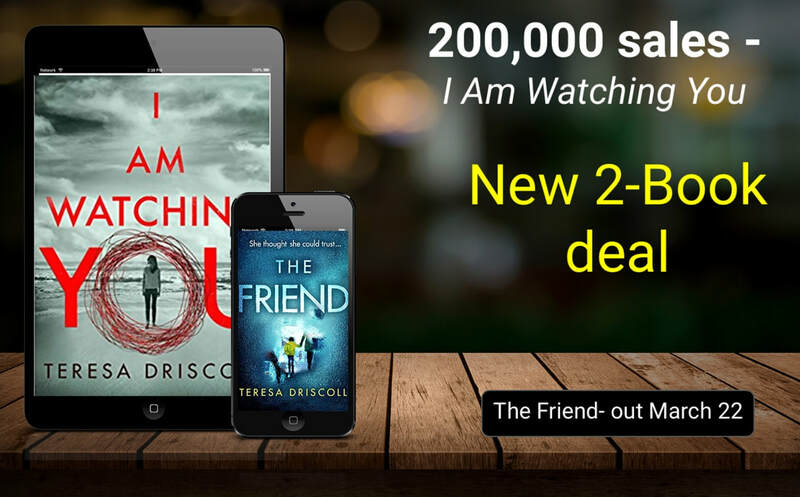 A year ago today my first psychological thriller I am Watching You was published as part of a special Kindle First launch. I cannot begin to tell you how much was riding on this book! Everything was riding on this genre switch. Would it work out? Would I finally get a little orange ‘bestseller’ sticker on Amazon? Oh boy. Within hours I Am Watching You was rocketing up the charts. Stunning reviews began to pour in. 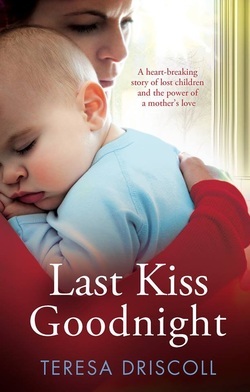 Within 24 hours, the book was Kindle #1 in the UK, USA and Australia. It was all rather surreal… in the best possible way. So thank you, readers, from the bottom of this author’s heart for buying, reviewing and recommending this book to your friends. Thank you to my fabulous agent Madeleine Miburn for always believing in me. Thank you to my publisher Thomas & Mercer for making all my author dreams come true. And thank you to my wonderful family for putting up with all my panics. There may be some 'birthday' bubbles! ​I am over the moon to announce that I have just signed a film deal! 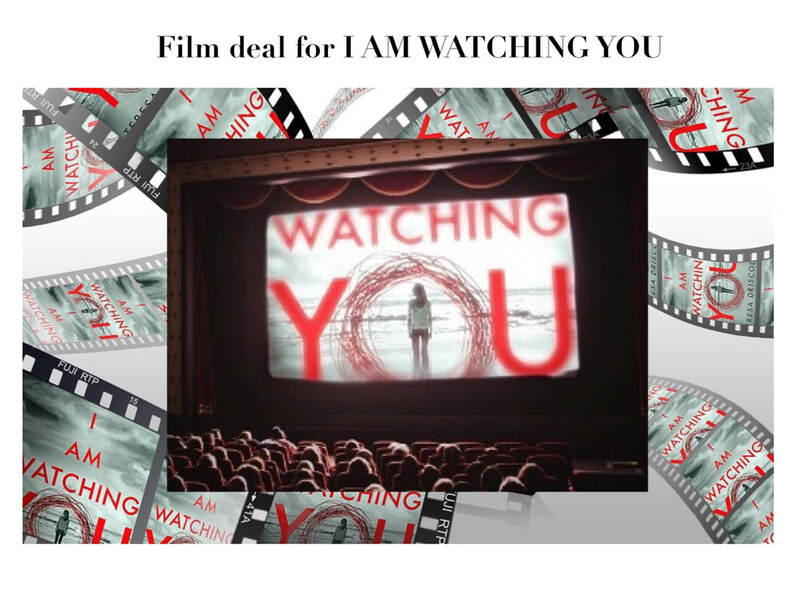 Leading Hindi film studios B4U Motion Pictures have bought the Indian language rights for I Am Watching You. 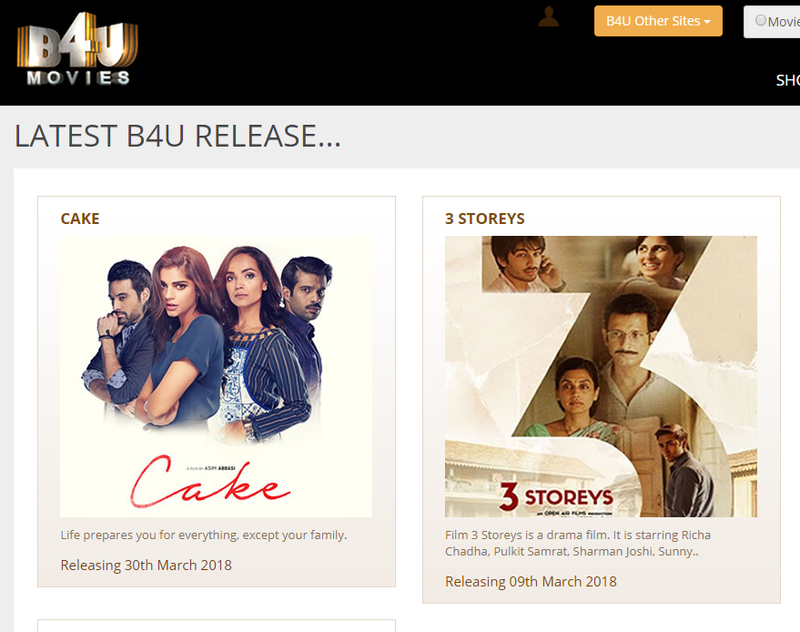 B4U make a wide range of movies including thrillers and classic drama, distributed to Indian film lovers around the world. Latest releases include the moving family drama CAKE and the acclaimed Three Storeys. This exciting news comes as I Am Watching You celebrates sales of more than 300,000 in just seven months. I'm pinching myself here as I share a very special moment. 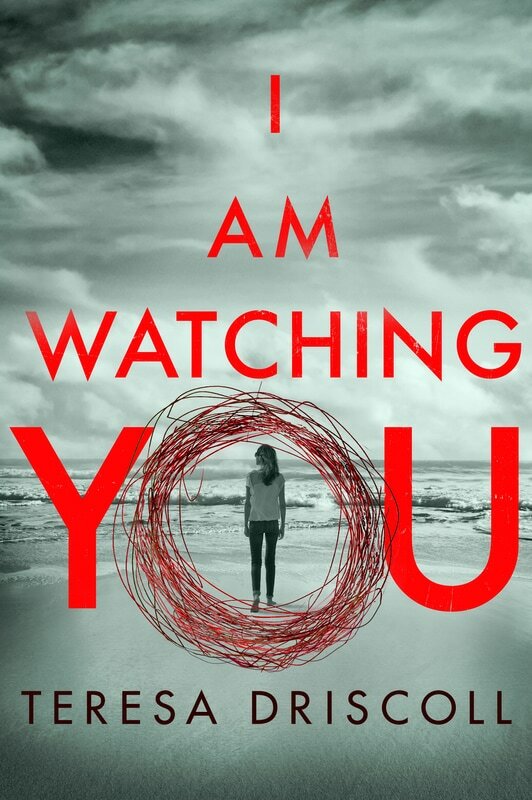 I've just heard that we've sold more than 250,000 copies of I Am Watching You in less than 6 months. This is simply HUGE for me; something I never expected to happen. Regulars to my blog will know that it took me ten years to get my first book deal. Before that, I wrote four novels that were 'near misses' with publishers; a long and often tricky apprenticeship before I finally got 'the call'. 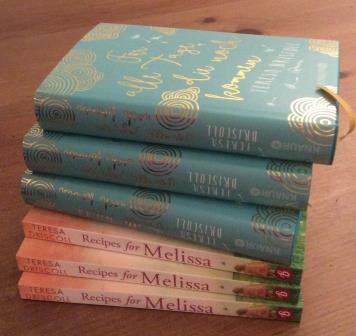 I then published two women's fiction titles that sold in six languages. But it wasn't until I published this first psychological suspense novel that things took off in a way I could never have foreseen. When I wrote I Am Watching You, I did the same thing I do every time I sit at my writing desk; I simply wrote the best book I could. Did I know it would become this big bestseller? No, I didn't. I hoped, of course. I dreamed. But it still feels surreal to me that all this has happened. 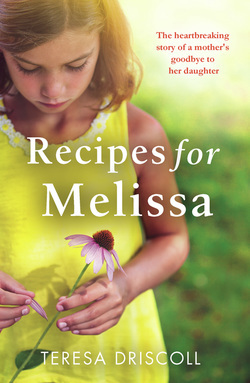 So I need to share what a privilege this feels when all the stars align; and to repeat my thanks to my publisher Thomas & Mercer, to my agent Madeleine Milburn and to all the wonderful readers who have bought the book, reviewed it...and so kindly recommended it to others. This simply would not have happened without you. The other special thing going on right now is...globetrotting! 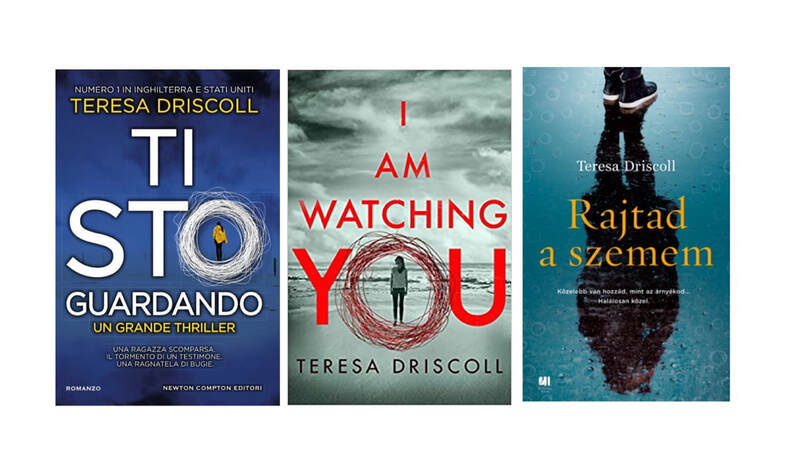 We have sold I Am Watching You for translation to seven countries so far and it's just making an appearance in Italian bookshops right now. Some kind bloggers and readers have been sharing photographs of my novel 'in the wild' and this makes me more excited and proud than you can imagine. So if you spot my book over the coming weeks and months anywhere in the world, do please tag me in your photographs on social media. It makes those ten long and difficult years of rejection all worthwhile. A little slideshow of the fun I've been having! TV and radio interviews, talks and literary festivals! It's a lot of fun suddenly having a bestseller - so here's a slideshow of recent highlights with thanks to my wonderful publisher Thomas & Mercer, my supersonic agent Madeleine Milburn and her team, my family and friends and all my fabulous readers. Feeling very blessed right now!